The equipment and the heating line of the Serovskaya State District Power Plant (the branch of OAO OGK-2) are switched from the summer variant to the loop system of heat sypply in the grid of the Pristantsionniy village and ZAO Serovenergo, which provides the heat supply for the village of Energetikov. The scheduled maintenance of the heating line was made in advance, in the full compliance with the all-city scheduled. The experts of the Serovkaya SDPP carried out the repairs of the pumps, the technical servicing of the switching equipment, the tuning of pressure and temperature regulators. The isolation and drainage valves were revised, the corrosion testers were installed, the metering devices for heating energy were set. The staff of the power plant together with the engineers of Serovenergo carried out a big amount of works on the repairs of the local thermal grids, on the replacement of thermal insulation of pipelines and check valves. 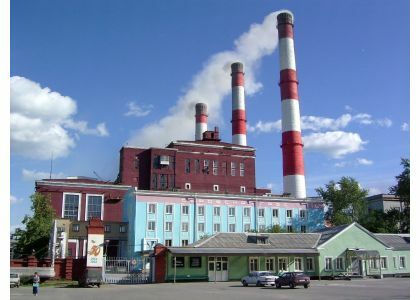 As the director of the Serovskaya SDPP Valeriy Kucherenko, the plant is ready to ensure the guaranteed heat supply of the residents of the village of Energetikov and other consumers in the course of the heating season 2012-2013. The branch of OAO OGK-2 – Serovskaya SDPP is the power facility with the capacity of 538 Mw, built in the 50th of the 20th century, is located in the Serovo-Bogoslovskiy center, which is marked with utter energy deficit. The plant has a non-block configuration, the main equipment consists of 12 boilers, 3 turbines of 50 MW, one turbine of 88 MW, three turbines of 100 MW. The main fuel of SDPP is coal, the reserve one is gas.